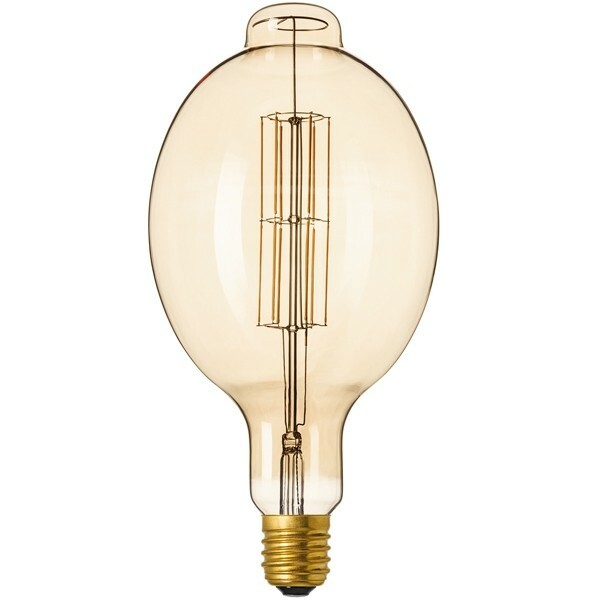 Ellipse is part of the Giant range of Vintage LED Bulbs. Ellipse has a chic design that will make a real design statement in any pub, club restaurant of domestic kitchen. Ellipse has an Antique Gold finish and comes with a 12 straight LED configuration. As this bulb is LED it offers an 85% saving in energy when compared to a traditional lightbulb and has a 10,000 hour life which is equivalent to the life of 10 traditional lighbulbs.